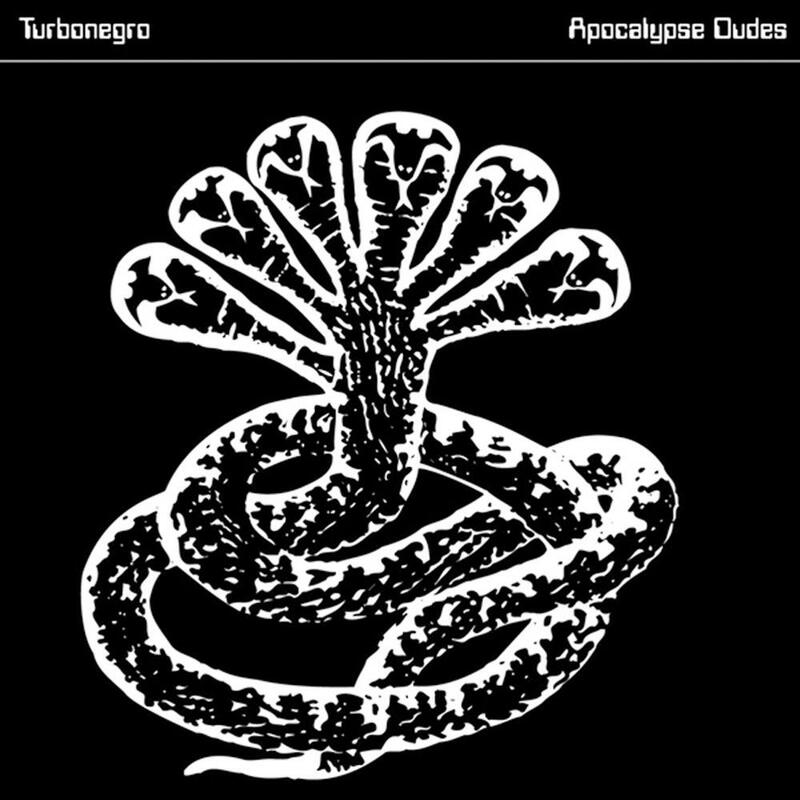 Slaughtered: Norwegian band Turbonegro got bad reviews on their international success album “Apocalypse Dudes” from 1998. To win reader credibility as a music reviewer a series of characteristics are required: A good pen, a good ear, good references and clear, strong opinions are prime weapons a reviewer should have. But most importantly, he or she must be persistent. Persistent enough to kill U2’s “Achtung Baby”, to lower the expectations of a-ha’s “Take On Me” or rolling a mediocre three on the dice for Röyksopp’s masterpiece “Melody A.M.” in Norway’s largest newspaper VG – while the rest of the staff named it the decade’s best album. American hip-hop duo Outkast was headliner at the Øya festival in Oslo in August, and most of the reviewers were very pleased with the concert. Music critic Sandeep Singh – one of the most influential hip-hop reviewers in Norway – wrote in VG that he had “never experienced better sound during a rap concert”. Along with radio channel P3 and national newspaper Dagbladet, Singh rolled a six on the dice. However, that was not the impression Espen Hågensen Rusdal from the former Labour Party newspaper Dagsavisen got. “It was just as hard to cheer on Outkast as it is to cheer on Luis Suárez and deliberate handball. When two men so clearly do not want to be on the same stage, can’t they just let it be?”, he wrote and rolled a one on the dice. The case generated debate, but Rusdal stood up for his review. Music journalist Frode Grytten from Bergens Tidende refused to become a U2 fan. That was before he became a lauded author. “Irish U2 are mostly in place. Except the most important – good melodies and good lyrics. This reviewer has thus major difficulties to participate in chanting over this group’s first album in the nineties, “Achtung Baby”. At the time, there were not any dices to roll at Bergens Tidende newspaper, but the mauling review is worth a six. Recently, Grytten was confronted if he still hated “Achtung Baby”. Certainly, he replied. It is definitely not funky, neither in the traditional sense or electronically. Today, “Melody A.M.” is found on many top-ten lists over the best Norwegian albums throughout history – even ranked as number one. Four years after the release it had sold 750,000 copies worldwide including to have reached ninth place on the British album chart. In recent years, Stein Østbø has defended his review several times, but replies that he still agrees with his review. Let us stick to Østbø a little bit longer. “Apocalypse Dudes” became a major international success, but not for Østbø, which gave the album a lukewarm 3. “In a sober manner, this is still no greasy-hair snout-wiping album, to use the jargon. The songs are one-sided in its turbo speed and the vocalist’s voice is a bit too weak”, Østbø wrote. The bad review led to a war between Turbonegro and newspaper VG. Turbonegro bassist Thomas Seltzer claimed that VG was doing “dissidence” (At the time, Seltzer worked as a market analyst – hence the term). Today, Østbø stands 100 percent behind his review. The experienced music reviewer Yan Friis has also had his darker moments. Like in 1985, when he reviewed a-ha’s new single “Take On Me”. The last sentence in the review has received much attention: I do not see a world hit. In retrospect, the author, radio personality and music reviewer has admitted that he was on the wrong track. In an interview with newspaper Dagbladet in 2004 Friis said: – I was so wrong that it just becomes funny. “Take on Me” was released three times. I was positive both the first and second time, but by the third, I was bored. That was probably why I wrote that. What I did not know was that they had made ​​a fantastic video that was frequently played on MTV – which made it a world hit. When Nancy Sinatra had finished her set at the Øya festival in 2002, the reviewers agreed that 60’s queen had not delivered. The worst review was in VG, which rolled a one on the dice. Dagsavisen was not gracious either. – Nancy Sinatra’s performance was embarrassing. However, from a distance, she still looks fresh and vigorous but musically she has very bad taste. A one-hour long performance became a patience test in these medieval surroundings, the ruins seemed more modern than the songs she performed, reviewer Geir Rakvaag wrote in Dagsavisen. Even the organizers have stated that Nancy Sinatra’s concert is the worst they have ever had. But Fredrik Wandrup from Dagbladet was of a different opinion. He believed that the “feminist icon hit the note through 19 songs” and gave her a five on the dice. He was overjoyed. ‹ Want to Buy a Genuine Viking Age Battle Axe?